No matter what type of driving you do, seeing clearly can be challenging for almost any driver. Driving is hazardous enough without also having to worry about your vision. Don’t compromise your safety with eyeglasses that don’t provide the best possible vision on the road. 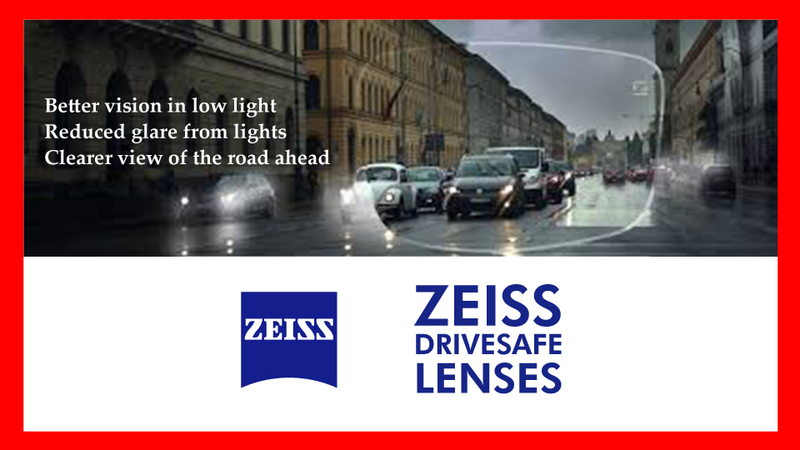 ZEISS, the leader in precision optics for over 165 years, has a new solution for you – ZEISS DriveSafe.